The book tells the story of a math professor named Edward (also played by Gyllenhaal) whose family vacation takes a horrifying turn when a gang of rednecks led by the sociopathic Ray (Aaron Taylor-Johnson) runs their car off the road and kidnaps Edward’s wife (Isla Fisher) and daughter (Ellie Bamber). When the women are finally discovered, brutally raped and murdered and disposed of like trash, an emotionally devastated Edward teams up with a local detective (Michael Shannon) to track down the three men involved and deliver justice by any means necessary. As Susan reads the fictional story over the course of a lonely weekend, she reminisces about her relationship with Tony and the unforgiveable betrayal that led to their divorce, haunted by the novel’s thematic undercurrents of resentment and rage that play out like retribution for her own sins. It’s pretty telling that Ford named the movie after Tony’s fictional book and not the novel on which it’s based (apart from simply being a better title), because the story-within-the-story clearly interests him the most. In fact, if there’s any complaint about the film at all, it’s that the Susan segment feels a little cold (no doubt a reflection of the characters that inhabit it) and lacks the substance and nerve-wracking tension of the other storyline. The only reason it works so well is because of Adams, who’s able to convey a range of emotions without saying or doing much at all. Every performance here is great, including Laura Linney in a brilliant cameo as Susan’s bourgeois mother, but the Edward story is more engaging thanks to a trio of excellent performances from Shannon, Taylor-Johnson and Gyllenhaal, who has the trickiest job playing two very distinct characters. Shannon, however, is the film’s undisputed standout, delivering some of his finest work yet as the darkly funny, no-nonsense cop. 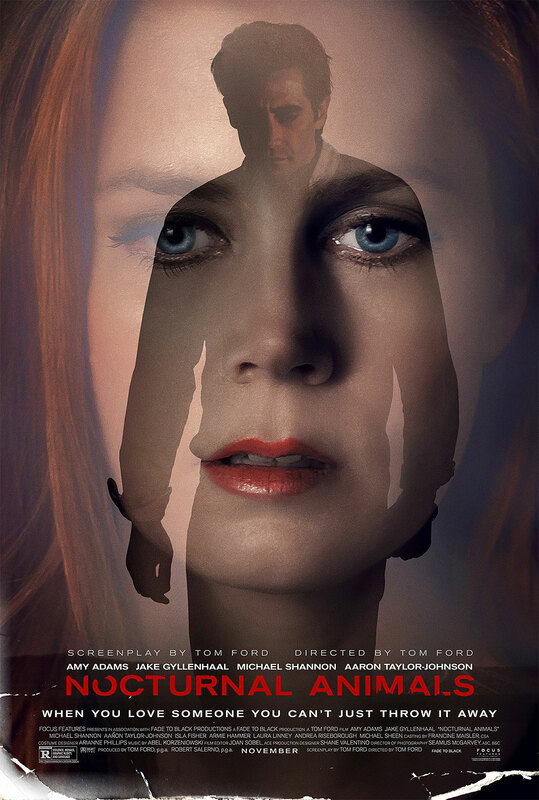 Though the movie looks as beautiful as you’d expect with Ford behind the camera (from the production design, to the costumes, to cinematographer Seamus McGarvey’s dual visual styles), “Nocturnal Animals” signifies a giant leap for him as a storyteller. He won’t get as much credit as he deserves for adapting such a complex novel, but Ford handles the interweaving narratives effortlessly; it’s never jarring, and yet despite taking place in two different worlds, the way in which the film has been constructed makes complete sense and only strengthens its emotional impact. It’s a very tough movie to watch (it’s violent, intense, unbelievably sad and even infuriating at times), but like the crime novel at the center of the story, it demonstrates the power that a great piece of fiction can have on you, even one as polarizing and challenging as this.